What Do John Deere, Formula 1, IndyCar & NASCAR Have In Common? We aren’t as fast, but our revolutionary new boom is leaving competitors in the dust. It isn’t a riddle, but sure reads like one: What material helps people with disabilities walk, helps passenger jets fly further and faster; and just helped win the Indy 500? The answer is carbon fiber. If you’re not familiar with this space-age polymer, it’s made up of tiny filaments one-tenth of the thickness of a human hair. But when bundled and woven, it becomes stronger than steel and lighter than aluminum. This exotic material is being used extensively in prosthetic devices, race cars, and aircraft because of its strength, weight reduction, and resistance to fatigue. For John Deere customers, carbon fiber provides industry-leading advantages where it matters most. If you’re looking for some of the richest soil on earth, look no further than Kansas. Kistler, like many John Deere customers, is always looking for new ways to make his business more efficient, effective, and profitable. 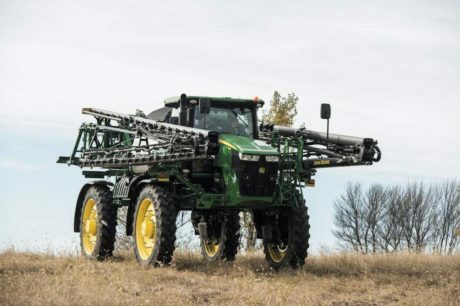 That’s why he bought a R4038 Sprayer equipped with a 120-foot carbon fiber boom. 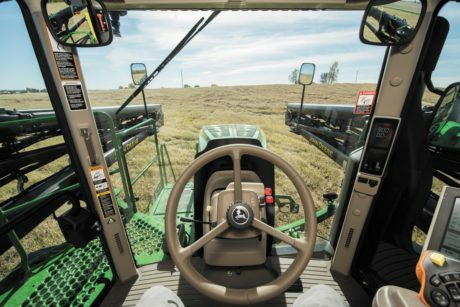 This cutting-edge technology is, for John Deere, both evolutionary and revolutionary. Our first foray into the world of carbon fiber came after a meeting with the king. 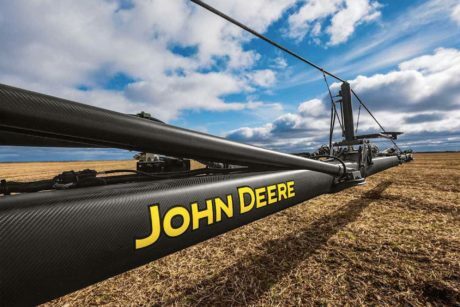 In 2015, John Deere began a partnership with King Agro to design, develop, and distribute carbon fiber booms exclusively for John Deere application equipment. Both companies worked so well together that Deere bought King Agro in March. Today, King Agro builds the booms and ships them to Deere factories in Des Moines and Horst, Netherlands for final assembly. King Agro – which has headquarters and a factory in Spain, plus a production facility in Argentina – opened its doors more than 30 years ago. The company soon became a powerhouse in the high-performance boating industry, thanks in large part to carbon fiber masts for sailing yachts. But an unexpected wave in 2008 nearly sank the family-owned business. Although King Agro had no experience in agriculture, its employees built a prototype out of carbon fiber. The customer loved it, a new business was built, and the rest, as they say, is history. 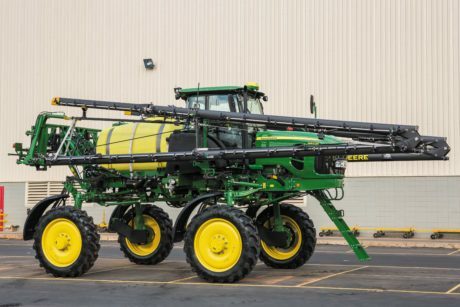 Back in Kansas, Tyrone Martin of John Deere dealer American Implement says customers are increasingly interested in carbon fiber booms. In this part of the U.S., where fields extend as far as the eye can see, increased width is critical. While many customers are waiting to see how the booms perform this year, Kistler says he’s made up his mind. Kistler isn’t alone. In fact, more farmers throughout the world are choosing John Deere carbon fiber booms. Sales are particularly strong in North America and South America, respectively. In Brazil, where Deere first offered carbon fiber booms, customers continue to rave about the lower weight and increased width compared to traditional steel products. And in the future, chances are you’ll be seeing more carbon fiber features integrated into John Deere equipment.